Pork chops from the grill are just awesome. Plain and simple. Once summer rolls around, we grill pork chops A LOT. I honestly could eat them plain all the time, and be perfectly fine. But, it’s nice to have some variety now and then. Especially when that variety provides you with a tasty dish like this one! One thing I love about this recipe is that the smoky grilled flavor you love isn’t lost. It’s simply added to with the sweet yogurt and pineapple. And though I was skeptical at first, they blended really nicely. As I was eating these, I found myself thinking, “Man I sure wish we were having a luau party right now. 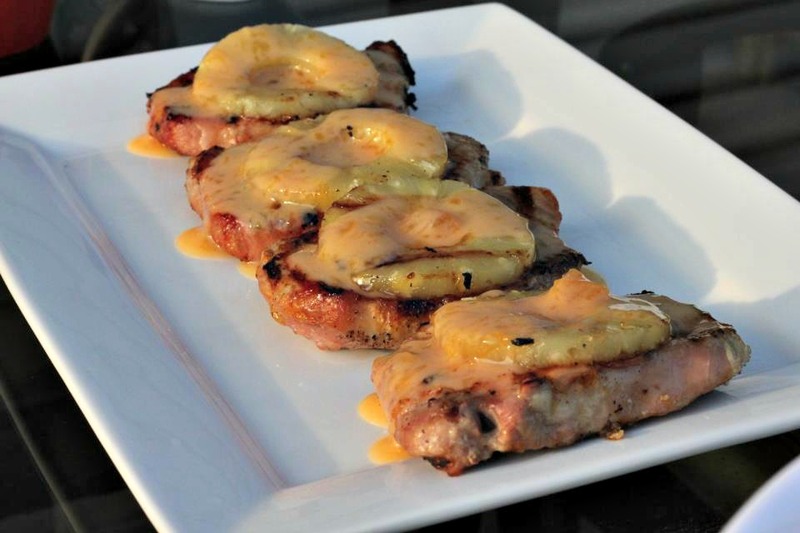 These would be perfect.” So if you’re planning a luau party, this should totally be your entree. Basically anything you chunk pineapple on top of becomes a Hawaiian dish. I hope that’s not offensive to Hawaiians because I think it’s awesome and DELICIOUS. I’ve heard that Hawaiians also eat a lot of Spam. Interesting. I don’t have any Spam recipes though. Heat grill to medium heat. Salt & pepper pork chops. Grill for 4 min. Turn chops. Place pineapple on grill. Brush chops and pineapple w/ 1 T marmalade. Grill 5 min or until pork reaches 160 temp. Turn pineapple again and cook 2 min more. Combine yogurt and remaining marmalade. Drizzle over pork. thx, i will check back soon, have bookmarked you for now.